Now in its fourth edition, the handbook provides accurate information on all available contraceptive methods and related clinical practice for health-care practitioners. The content is based on extensive research, review and critical analysis of the most recent evidence-based literature and research. CEO of Family Planning NSW, Adjunct Professor Ann Brassil says "Each chapter has been comprehensively updated with extensive referencing. It's the perfect practical guide for health professionals along with medical and nursing students." Laid out in an easy to read format, the chapters are colour coded for easy referencing, drawing on recent guidelines including those from the Faculty of Sexual and Reproductive Healthcare in the United Kingdom. First published in 2006, family planning organisations around Australia saw a need for a consensus approach to contraceptive practice based on evidence, critical review and applicability to the Australian context. UK Medical Eligibility Criteria Summary Tables. 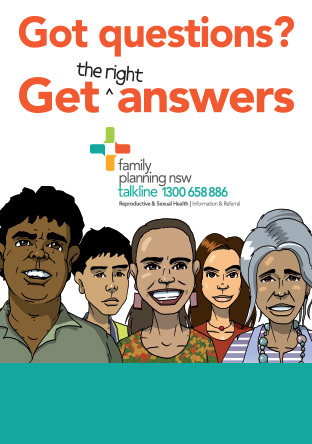 Medical Director at Family Planning NSW, Dr Deborah Bateson says "This is a great resource to support every clinician who provides contraceptive advice, full of the very latest evidence-based guidance and information from practicing experts in this important field of clinical care." Dr Terri Foran, Sexual Health Physician, Lecturer, School of Women's and Children's Health, University of NSW. Prof Ian Fraser, AO, DSc, MD, BSc (Hons), FRANZCOG, FRCOG, CREI; Conjoint Professor at the University of New South Wales, Sydney, and Honorary REI Sub-specialist, Royal Prince Alfred Hospital, Sydney.